The Association of Clinicians for the Underserved (ACU) is a national nonprofit focused on the recruitment and retention of clinicians into all types of facilities in underserved communities. ACU works toward this mission through a combination of advocacy, resource development, training, and clinician support. The organization’s main policy and advocacy activity is centered around strengthening and expanding federal investments in the National Health Service Corps. ACU also provides research, resources, and training for clinicians on clinical topics key to providing quality healthcare to an underserved population. ACU’s NCA funding supports the Solutions, Training, and Assistance for Recruitment and Retention (STAR2) Center. 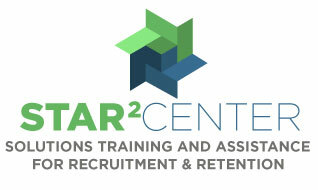 The STAR2 Center provides free resources, training, and technical assistance to health centers and lookalikes on a variety of topics related to clinician recruitment and retention. All NCA services are provided at no charge and can be identified by the STAR2 Center logo.